Must see home in River Run! Stunning curb appeal. Open floor plan w/ hard wood floors! Extensive trim detail & plantations shutters throughout. 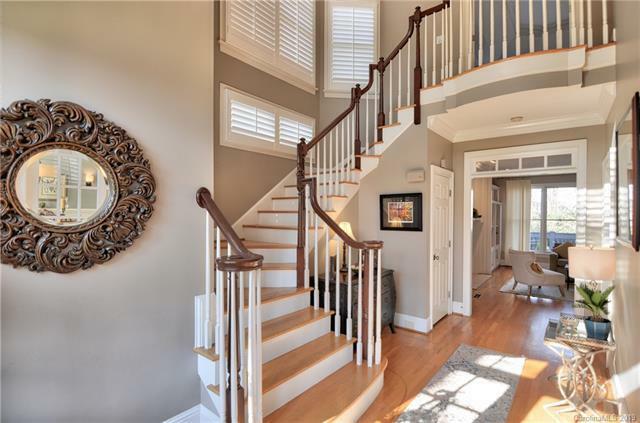 Beautiful 2 story foyer w/ tons of natural light leads to office through double French doors. Dining room w/ decorative wainscoting detail. Stunning gourmet kitchen w/ granite counter tops, stainless steel appliances, center island, Viking gas stove and sunny breakfast area. Spacious great room w/ fireplace and built ins. Elegant owners retreat w/ tray ceiling, walk-in closet & private balcony. Fully remodeled en-suite bath w/ dual vanity, tile shower w/ frame less glass enclosure, & claw foot soaking tub. Second story features large secondary bedrooms, baths, & loft! Cozy sun room for relaxing! Great outdoor living spaces including large porch & over sized patio, perfect for entertaining! Peaceful & private backyard w/ fountain! Great Davidson location! Close to neighborhood amenities, walking trails, schools, restaurants & shopping!